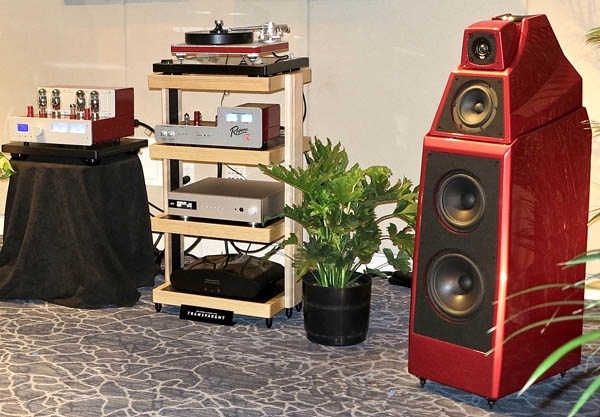 Across the hallway, Paragon Sight and Sound set up a more "modest," albeit hardly chump-change, system that included Wilson Alexia 2 speakers ($59,900 with this special red finish), brand-new tubed Rogers KWM 88 Corona integrated amplifier ($14,000) plus PA2 phono stage ($7300), dCS Bartok DAC ($13,500), Clearaudio Ovation turntable with 9" arm and custom finish ($11,000) and Clearaudio Jubilee cartridge, Transparent Reference and Reference XL cabling, a Transparent Reference Power Isolator ($5995), and Harmonic Resolution System RXR 4V with R3x base audio rack ($9330). 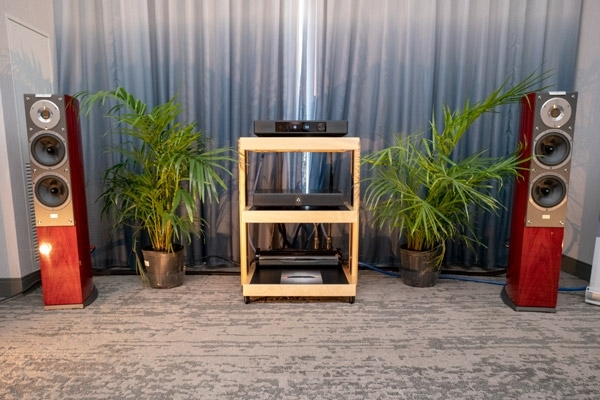 Loudspeakers by Danish manufacturer Dynaudio were featured in two rooms; both demonstrated exactly how clearly, and authoritatively precise, their speakers could sound when driven by amplifiers from the German manufacturer Octave. 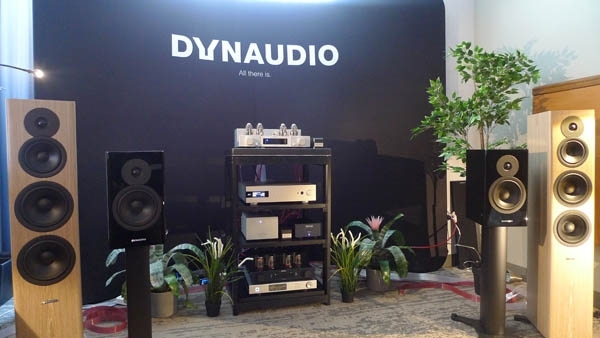 In Dynaudio's big demonstration room I heard the $5000/pair Evoke 50 loudspeakers (the floorstanders in the photo above) being driven by an Octave V80SE integrated amplifier ($10,500), itself fed by a dCS Bartok DAC ($13,500), with all Nordost cables. 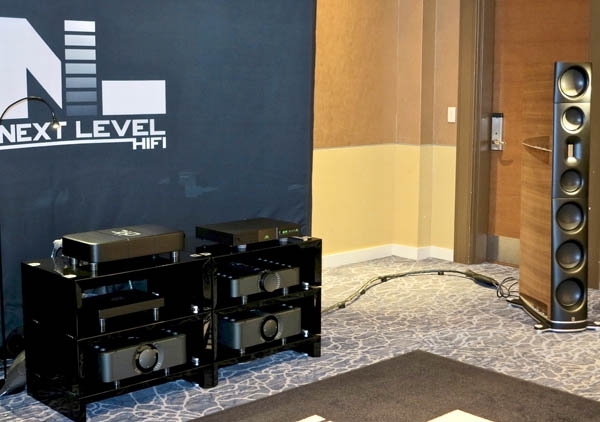 Every musical selection made me think, very consciously, that this is the kind of sound 90% of the audiophiles on the planet would be proud to show off in their homes: well-voiced, properly punctuated, tight as a drum head, and clean as fresh snow. "OMG, it's music" is the first thing I wrote down in this room. 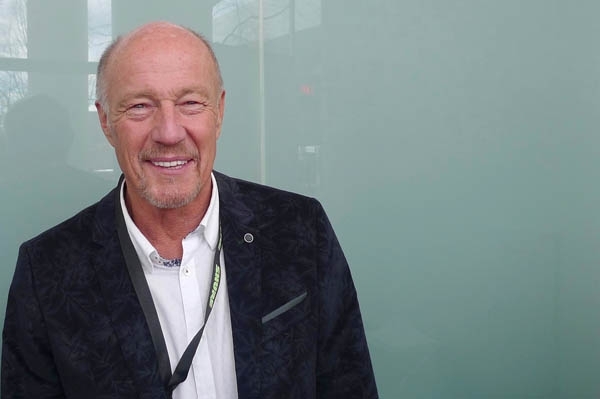 "So much of what I've missed at this show is here." 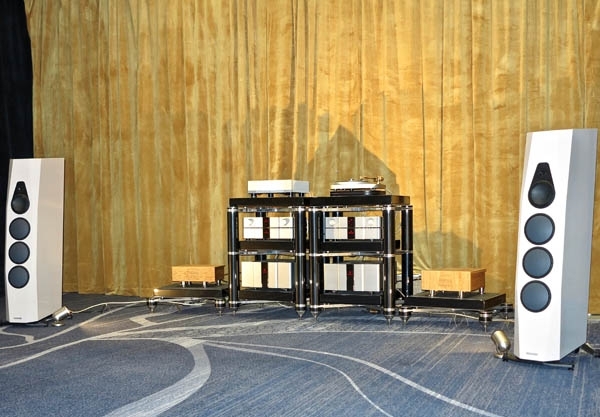 On master recordist Peter McGrath's live 24/88.2 MQA recording of pianist Benjamin Grosvenor playing the Sarabande from Bach's French Suite No.5, I heard the natural ring of his piano's top notes resounding and decaying in an uncannily realistic depiction of a large, open venue. 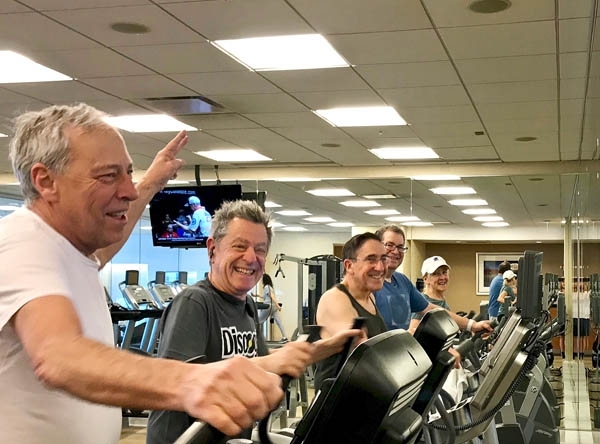 Given that plans to attend Grosvenor's performance at the Chicago Symphony Orchestra on Saturday night were scrapped due to the musician's strike, this was certainly the next best thing. "What the heck?" 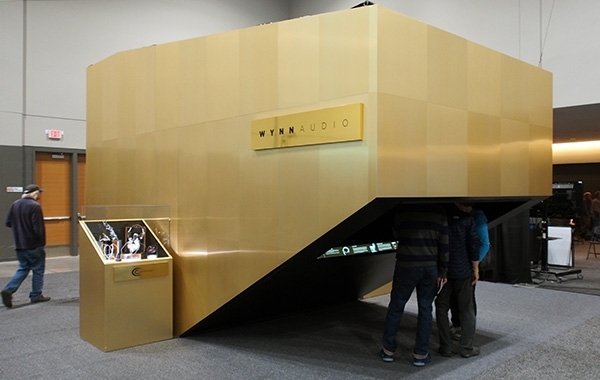 Behind the Master Class Area was a giant tan-colored hooded construction, looking like a giant Zamboni machine and labeled "Wynn Audio," with a viewing window at the front. Saturday is always the most crowded and intense day of any show . 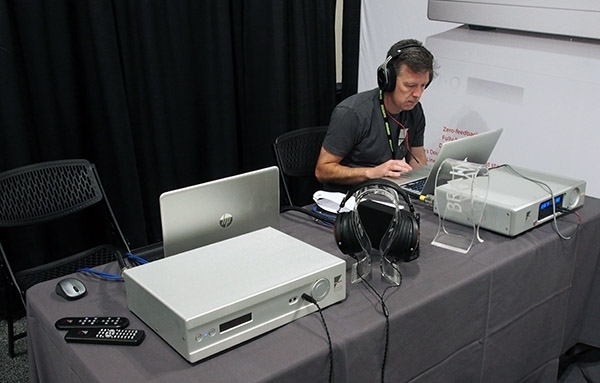 . .
Canada's Wynn Audio sure mixed it up, to good effect, in a system that included two premieres: Crystal Cable's Future Dream 15th Anniversary limited-edition series, which combines proprietary monocrystal silver and silver-gold alloy in a four-coaxial-conductor construction insulated by Dupont Kapton and Teflon, and the Entreq Silver Tellus Infinity ground box ($2400 each), a passive device that, using a different technology to Nordost's QKore grounding units, claims to remove ground noise from components. 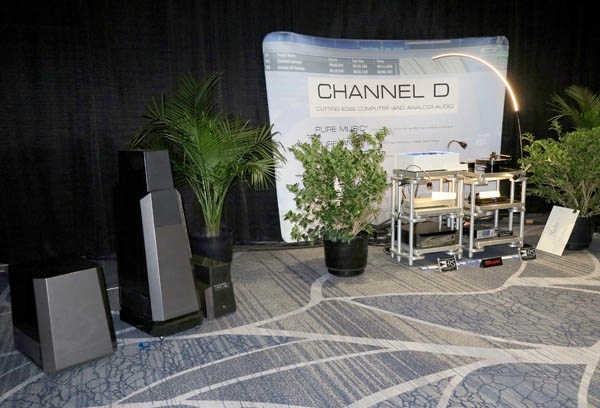 Vandersteen lovers, of which there are many, may stare in disbelief at these words, but AXPONA 2019 marks the first time that I truly got why so many people rave about Vandersteen's sound. At least I think I did. 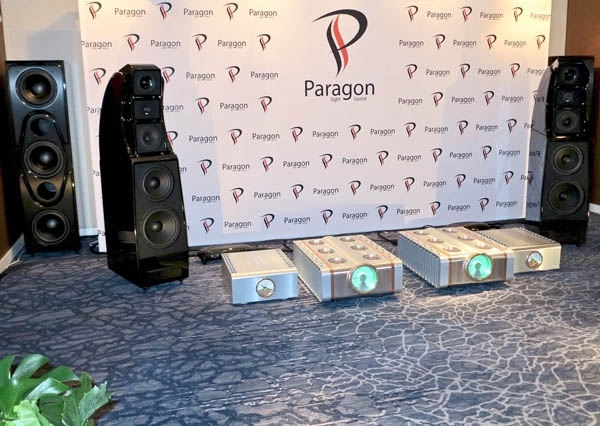 Even if I didn't fully get what other people get, I got enough to say, "Oh yeah, uh huh, that Vandersteen midrange is surely something worth writing home about." In fact, based on what I heard, I see why some people would prefer to cart up the whole thing and let it do the speaking. 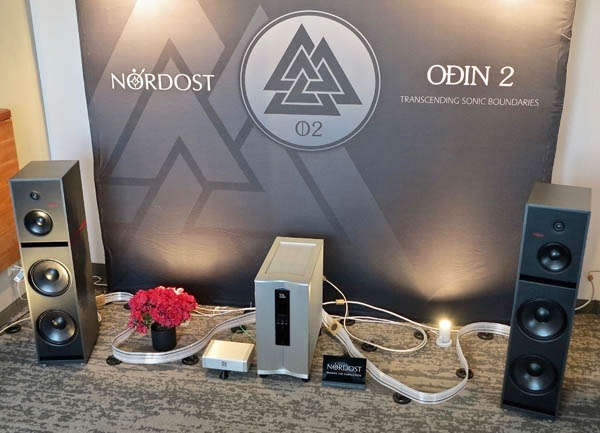 In front of the room sponsored by GoldenEar Technology and PrimaLuna USA, I saw tube maven Kevin Deal (above)the latter company's Primary Dudedisplaying the insides of a PrimaLuna amplifier. PR man extraordinaire Anthony Chiarella was sitting next to him saying, "Its built like a Fabergé egg." Which indeed it was. 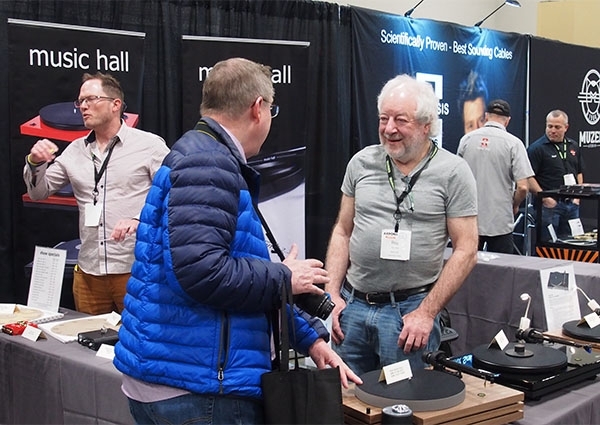 Celebrating 21 years of affordable Music Hall turntables, the irascible Roy Hall (right) was in fine form on AXPONA's opening day, offering show specials. I'm a little old to be a fan (but I am), and some say singer-songwriter Billie Eilish is a little young (just turned 17) to be as famous and successful as she is. But hey, what's-his-name from the Jackson Five was only five years old when he was that famous . 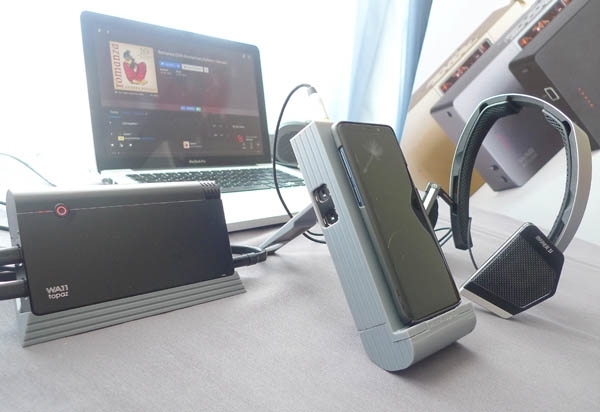 . .
On my way to AXPONA's Master Class Theater to catch Rob Robinson's seminar on current-mode phono preamplifiers, I was buttonholed by David Janszen. 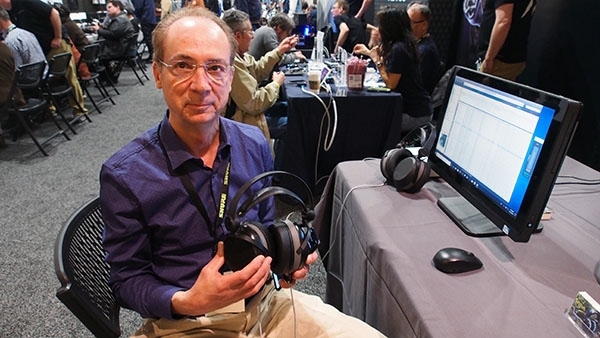 The Janszen name is synonymous with electrostatic drive-unitsthe midrange unit in the legendary Wilson WAMM was based on Janszen technologyand at AXPONA David was demonstrating prototype electrostatic headphones, the Lotus.